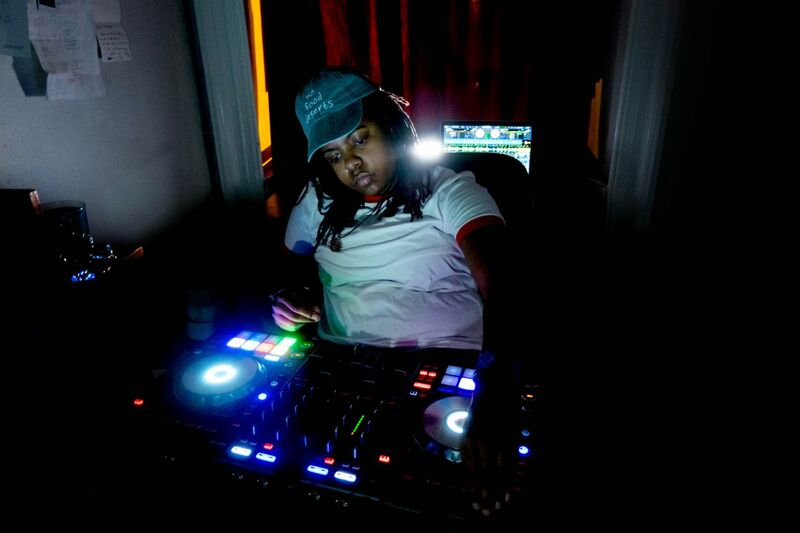 Trillnatured is one of Baltimore’s upcoming underground DJs, representing Balti Gurls a collective promoting queer poc artists. Her party “Version” that happens at The Crown just won the Baltimore City Paper award for best party in the city! Her mix for us gives us all the genres but none of it lacks any heart. Rocking between club, dancehall, house music and much more we’re given a window into Trillnatured’s expansive way of approaching DJing without limiting herself leaving us with a mix that keeps us smiling and vibing throughout. This mix is a collection of a few of my favorite genres to play: house, afrobeat, and club music, and a few sounds in between. It features fresh tracks from some of my favorite artists, and i’ve been dropping most of them in just about all one of my latest sets. I started djing in 2014. My first gig was an open mic that blaqstarr invited me to play at the last minute. I was still working up to playing in public at that point, but when he hit me up, i decided it was time to just go for it. I got great feedback that night, and it felt amazing. I actually walked out of my job the next day. I haven’t stopped since. Definitely, KAHLON. It was a groundbreaking Baltimore party series run by Abdu Ali, Lawrence Burney and others. KAHLON uplifts Blackness and queerness. I was so psyched to play it. Oh man, there are so many. But to name a few: The late K-Swift, Blaqstarr, UNIIQU3, MikeQ, Byrell The Great, UNIIQU3, and DJ Pancakes, a Baltimore-based DJ who I’m a fan of. DJ Sliink, UNIIQU3, KAYTRANADA, and LSDXOXO. As you can see, “Favorite” questions are hard for me—I can’t pick just one! People trying to engage me in full-on conversation while I’m mixing. It’s rough out here. I love cheese, I’m a Scorpio, and I truly, truly DJ for the love of it.